We start off in the South of Germany in the state of Bavaria (or Bayern in German) where we will run you through 9 key places you just have to visit! We will admit that some of these places are a bit of a distance from each other, so make sure you hire a car to help you see Bavaria in all of its glory. Whilst the Bavarian Alps are most popular with skiers and snowboarders, they also offer many things to do that don’t involve hurling yourself down a slippery slope at 50mph. 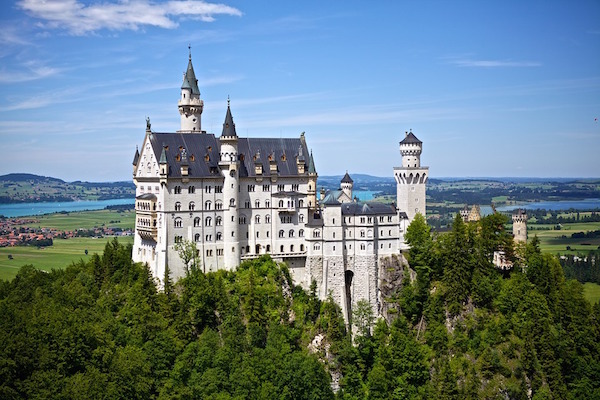 Why not visit the Neuschwanstein castle? Known for providing inspiration for the palaces at Disneyland Paris and for being the most photographed building in Germany, this enchanting construction is well worth a visit. If you prefer hiking in some of the most beautiful countryside in Europe, the Bavarian Alps is the place to do it. With more than 7,000km of trails each that vary in difficulty, you’re spoilt for choice as to whether you want to dawdle or really challenge yourself. Munich is the capital city of Bavaria and a much loved tourist hub. With 1.38 million inhabitants, the city is a bustling and exciting place to visit at any time of year. There are many prospects that Munich offers, including Oktoberfest, the world-renowned beer, music and food festival. If that’s not your scene, there is a Munich city tour which visits FC Bayern Soccer grounds, as well as the normal city sights for a mere £20.00 – not bad considering the tour lasts three and a half hours! If we haven’t persuaded you, we highly recommend the Marienplatz; the heart of Munich and home to the two town halls. The best time of day to visit would be either 11am or 12pm to hear the Glockenspiel chime and to see the 32 life-sized figures that act out the famous scenes of historic Bavaria. From the centre of the city, you can walk to a cathedral named Frauenkirche, which just happens to be Munich’s largest Church. Frauenkirche (or Cathedral of Our Blessed Lady) holds up to 20,000 people and it is worth visiting even just to have a look. For an extra treat, you can climb the steps of the towers to get one of the most sensational views over the city and the Alps. You’ll need to get into your hire car for the next place, as it is featured approximately 10 miles northwest of Munich. The Dachau concentration camp was one of the first concentration camps and would soon become a model for many others. If you choose to visit this historic site, you can follow the “path of a prisoner” and walk the route that the prisoners were forced to when they arrived at the camp. Berchtesgadener Land is a district in Bavaria which is home to some of the most beautiful sights in the whole of Europe. One of the most famous is lake Königssee which is located in the South of Bavaria. With stunning views and lots of different walks to do, it really is a place to be alone with your thoughts. For more mesmerizing views, why not visit Watzmann where you can climb and hike up the mountains to your heart’s desire. You don’t have to be an expert either – although we do recommend you have some experience – there is a special route that leads past a large overnight hut called Watzmannhaus. Planning to travel with the one you love? Germany is bursting at the seams with romantic places to whisk your significant other off their feet. The Romantic Road is one of them, which is best explored either on foot or by bicycle. The idea which was originally created to attract tourists back to Germany. The route starts in Wurzburg and ends in Fussen (which is near Neuschwanstein castle – see above for details) stretching nearly 400km! There are three medieval walled towns along the way, including Rothenburg ob der Tauber which is considered by some to be the best-preserved medieval town in Germany. Also featured on the route is the city of Augsburg, which is home to the Augsburger Puppenkiste marionette theatre and the Renaissance City Hall, which are both well worth a visit. 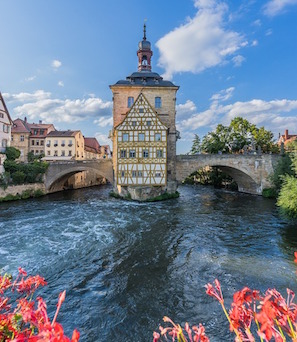 The town of Bamberg had been a massive influence on German and Hungarian architecture. It has many interesting sights suitable for all ages including the Bamberg new residence and rose garden. When in bloom, there can be around 4,500 roses spread across 70 beds in the garden, which definitely makes a beautiful sight! The best part – this will cost you absolutely nothing. Right next to the rose garden is the Bamberg Dom (the Bamberg Cathedral) which has true beauty both inside and out. You would never guess that the Cathedral has been burnt down twice since it was founded in 1002. If you’ve ever seen the film ‘The Three Musketeers’ (2011) you may recognise the Cathedral and Bamberg itself as the film was mainly shot there, which inevitably shut down practically the whole town. Local people were even allowed to be extras in the film! If sightseeing isn’t your favourite thing, you can shop in the many boutiques that Bamberg has to offer. They sell items such as design paper and German-style decor along with a wide range of souvenirs for that person back home you promised you would bring a gift home for. They are worth a look, even if you don’t have lots of spending money as they are full of character and do many cheap items for you to keep as a memory. Bayreuth is a large city which is constantly growing to become a better version of itself. It features a lot of exciting things to do on different days of the year and it is home to the world-famous Margravial Opera House which has even been elected to be on the list of the top 100 attractions in Germany. It is also home to plenty of gorgeous fountains and exciting festivals you should definitely visit if you go. It certainly is not a city to miss! 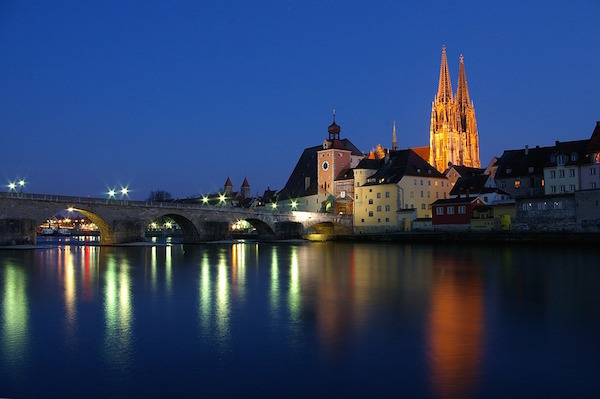 If you’re an art fan, Nuremberg offers some of the best attractions that you simply have to visit! None other than the Albrecht-Dürer-House which gives a completely different view of the living and working conditions of some of the most famous artists in the world. 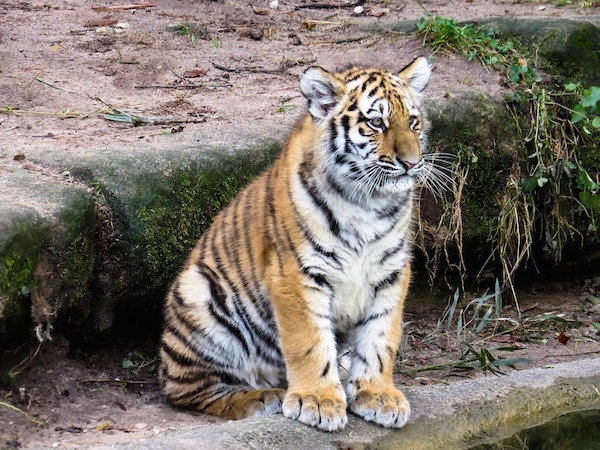 If you’re visiting with your children, there’s even a Zoological garden (Tiergarten) and the DB Museum which is all about the German railway system – perfect if you’re trying to keep the young ones educated! Lord Norman Foster, who was a British architect once called Regensburg “One of the most beautiful cities in the world”. If that’s not enough to make you visit, we don’t know what is but if you’re not quite sold, here are the things we think you should do and see whilst you’re there. There are a wide range of Churches for you to visit including The Old Chapel and St. James’s Scottish Church. If you fancy being at one with nature, there are 5 main parks in which you can picnic or just relax with a book. The Art Forum East German Gallery and the Kepler museum are also featured in Regensburg and are well worth a visit if you enjoy graphics and the arts. So, we’ve managed to round up the top 9 places to visit in Bavaria and if we STILL haven’t tempted you to visit the amazing country that is Germany, we’re going to show the other side of things. We know that the beach is hugely popular when on holiday, so we thought we’d talk you through the North Coast and the 3 destinations we think you should visit. If you’re looking for an idyllic coastal destination, there is none we recommend higher than Rugen Island. It offers cliffs, historic towns, villas and of course, stunning beaches. Highly popular with tourists, Rugen Island is said to have a large variety of recreation suitable for all the family – horseriding, cycling, golf and windsurfing to name a few. There are even National Parks for you to enjoy. Rugen Island is a place where both activity and relaxation can work together in perfect harmony. Does that sound an amazing destination? We think so. 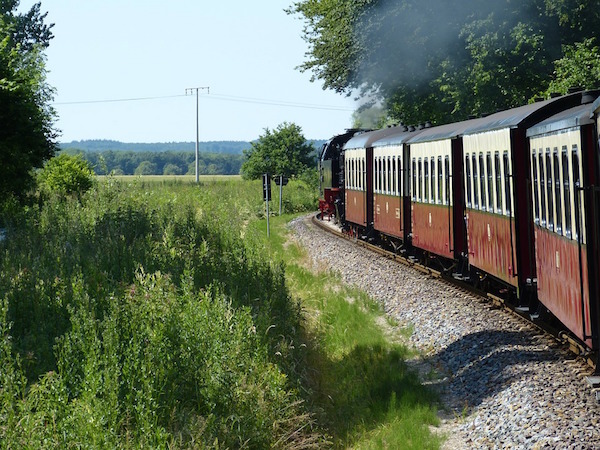 We recommend – Cape Arkona – East Germany’s northernmost tip, Sellin – a stunning seaside resort & Racing Roland – a steam-powered train that lets you explore the island. Although Lubeck was the first city in Germany to be bombed, it still keeps its medieval architecture and many of the buildings look hardly touched. It is a bustling city with narrow streets and does provide a certain amount of romance. We think that Lubeck is the ideal destination for a 48-hour city break either with your family or on your own. The people are very friendly and will provide you with a warm welcome. To be able to get the best out of your experience, make sure you hire a car so you are able to see as much as possible in the 48-hour period. We recommend – Holstentor – a town which has one of the two remaining city gates and plenty of museums to explore, Marienkirche – a reconstructed Church with two towers over 400 feet tall & Travemunde – an old seaside town with nautical-named streets. 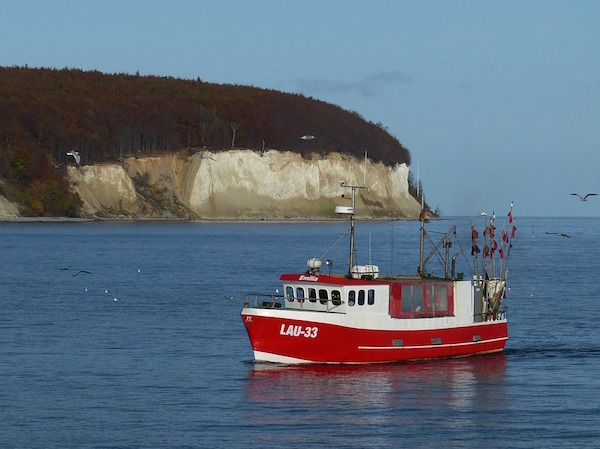 Located in the district of Rostock, Bad Doberan has a population of just over 11,000 people. It offers a picturesque, quiet town which is ideal for a relaxing weekend away. It is a typical German town so it’s great for experiencing the local culture and seeing how the locals live. There is a railway named the “Molli” which rides next to meadows and narrow streets and if you go in the correct season, it will even drop you off at a festival! We recommend – Kamp – a park that holds many open-air events throughout the year, the White Pavilion – originally a band stand which is now home to a restaurant & the Town and Spa Museum – which contains objects from many different eras of Germany. We hope we have provided you with more reasons to visit Germany than you can count and we’d love to hear about it if you do decide to visit. You can do this by commenting below, or looking us up on Facebook or you can Tweet us. Don’t forget to use Car Hire Centre when hiring your car in Germany!